Focus on the right advice, for the right client at the right time. Act on “moments that matter” to grow relationships. Manage risk and enhance loyalty. Identify opportunities and risks. Drive focus with actionable insights. Understand and segment client archetypes. Evolve policy and service strategies. Actionate intelligence to the front lines. Anticipate client needs through behavioral analysis. Design event detectors that bring critical client situations into advisor focus. Identify high value and high risk clients. Respond to defend AUM and loyalty. Design event detectors that capture “moments that matter”. Reinforce trust by identifying important client life events and intervene quickly with accurate investment strategies. Identify opportunities and risks. Drive focus with actionable insights. Grow wealth and loyalty. Identify high value and high risk clients. Respond to defend AUM and loyalty. Prioritize “moments that matter”. Reinforce trust by identifying important client life events and intervene quickly with personalized investment strategies. 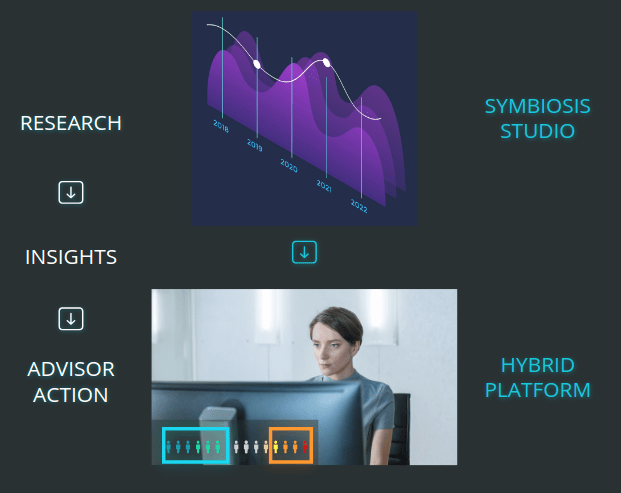 Use SYMBIOSIS with Responsive HYBRID for a standalone intelligent wealth solution or integrate your own technology over API. Generic BI solutions promise to be everything to everyone. Responsive is streamlined for wealth team performance.